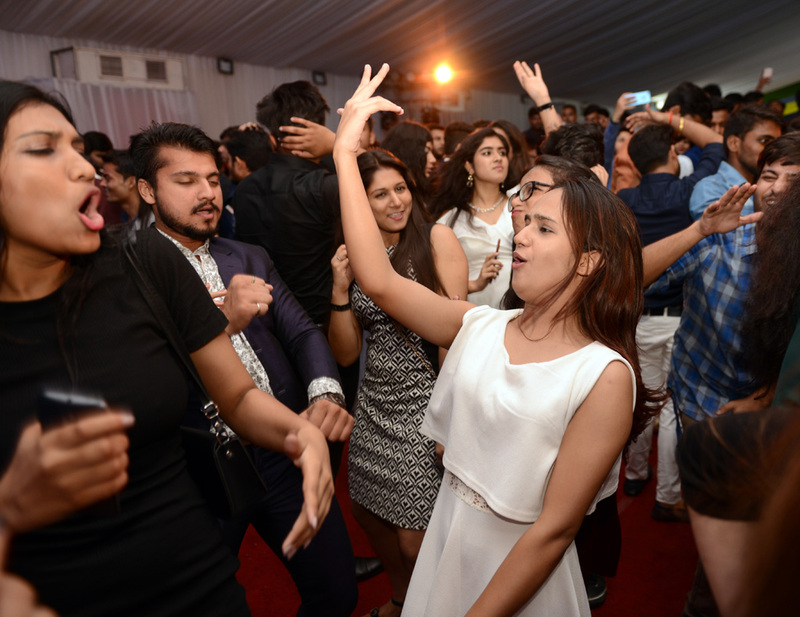 Freshers party in an educational campus is all about making the best start to the new academic life. This is certainly a time to create an everlasting bond with one and all. Continuing with the proud tradition of Asian Education Group, senior students and juniors mingled with each other at Freshers 2018 held on 29th August 2018. As has been the tradition, to begin with, a lamp lighting ceremony was held to set the ball rolling. Jovial smiles and high spirits marked Freshers 2018 and manifested youth and enthusiasm at its full flow. With pulsating ambience, foot tapping music and flashing lights, the event got going with a bang. Conscious about the latest fashion trends, students were dressed at their best. It was a fun filled event in which the fresh batch got an opportunity not only to showcase their talent but also to interact with seniors. After initial rounds of extraordinary performances comprising of Ramp Walk as the first round for Mr./Ms. Fresher Competition, we had some mesmerizing singing and dance performances. Final round was the Question and Answer Session for the contestants vying for Ms. Fresher and Mr. Fresher title. Displaying their presence of mind while replying for Question and Answer Session, representing Asian Business School, Ms. Navneet Kaur bagged the title of Ms. Fresher whereas Mr. Siddharth Teotia bagged the title of Mr. Fresher. For Asian School of Business, Ms. Hrishita Sharma was crowned as Ms. Fresher whereas Mr. Ankit Singh was adjudged as Mr. Fresher. Representing Asian Law College, Ms. Gundeep Kaur was crowned as Ms. Fresher whereas Mr. Moez Ali bagged the Mr. Fresher title. The crowning of the winners was done by Ms. Srishti Kaur, Miss Tiara Teen International 2017 and alumnus of Asian Education Group who extolled students for their wonderful performances and congratulated the winners. 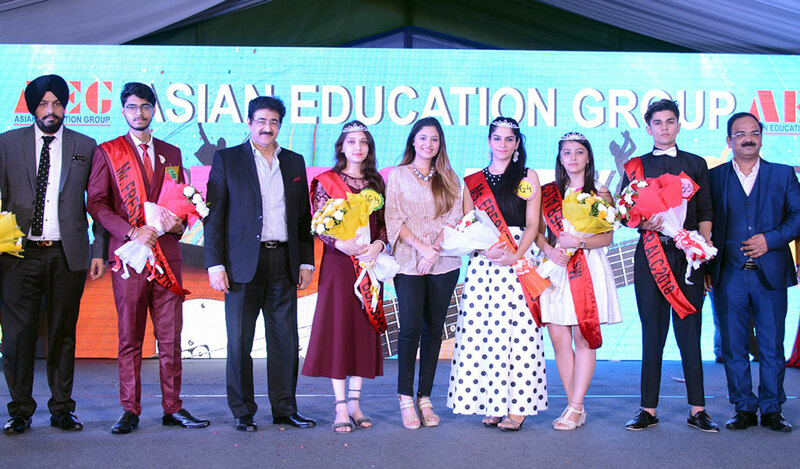 Dr. Sandeep Marwah, President – Asian Education Group encouraged the students to be lively and be focussed on whatever they do in life. Dr. Lalitya Vir Srivastava – Director AEG, Mr. Saurabh Sharma – Director Branding & Planning – AEG and Mr. Gurdeep Singh Raina – Director Admissions & Marketing – AEG congratulated the students for their efforts and wished them the best in life. To wind it off, DJ Tatva K got the JAM session rock with students setting the floor on fire. He was at his scintillating best as far as perfect amalgamation of different musical genres were concerned. Overall, the students synergized their efforts through a list of scintillating performances, thereby, making the evening a one to remember for times to come. The magic in air tuned into the chords of pulsating rhythmic hearts and bonds for the academic year that lay ahead.